A detailed guide to help clarify what things can effect the results of your NCOA processing job. 48-month NCOA processing is the best tool for pre-mail address updating, with the greatest breadth and scope of data available, but it is important to understand how it really works. Knowing its strengths and its limitations will make you a more knowledgeable user of USPS NCOA processing. First of all, one of the most important things to understand about USPS NCOALink is that the USPS-built matching logic is intentionally very strict. In other words, your input name and address must match the USPS data or there won't be a match. The wisdom behind the strictness of the USPS matching logic is that it is deemed far better to not give a new address if there is suspicion of it being wrong, rather than giving it and having it be wrong. I get it. So what can effect my NCOA match rate? Before your file can be processed, it must be USPS-standardized, and you may not receive a ZIP+4 code for some addresses. Addresses that can't be standardized cannot be run through NCOA. It's that simple: if we can't Zip+4 append an address, we can't run it. Usually ZIP + 4 match rates run in the 93% to 98% range. The match rate is different for each list, of course, and it depends largely on your data. So why do some addresses fail standardization? The data submitted by the local Post Office is not complete. What else can impact my NCOA match rate? You may receive an incorrect ZIP+4 code and incorrectly standardized address. For most lists this is a rare occurrence but it is not uncommon on business lists that have many vanity addresses. You may not receive change of address information when someone has actually moved. NCOALink processing will yield new addresses for many of the people and companies that have moved and filed address changes with the USPS, but some will be missed because of the strictness of the NCOA matching logic (and, yes, it's designed to be that strict). In this sense, the information you receive from NCOALink will depend on the accuracy of the name and address information in your file and also the information filed by the relocating postal customer. Addressee may not have filed a change of address with the USPS. The addressee may have moved too recently to appear on the NCOALink file. It takes 2-4 weeks for a change to appear on the NCOALink file. In some cases, individuals intentionally enter information on their Change of Address card that is unlike their actual name resulting in a non-match. (Example: T. Smith-Jones instead of Tom S. Jones). Ok. What else can go wrong? You may receive a new address when the addressee has not moved at all. As strange as that sounds, it happens. Fortunately, these tend to appear in small numbers but do happen on a regular basis. Got it. Anything else I should know about? Yes. In rare cases, you may receive an incorrect new address when the addressee has moved. These tend to appear in small numbers fortunately. Wondering why? Two moves are filed from the same household under the same surname, one family move and one individual move or two family moves. The incorrect new address may be returned, although matching requirements exist to prevent this. Pricing: Consistently the lowest minimum fees in the industry. Tab-delimited, Fixed-width, etc. We accommodate it! in-house data automation. Put it to work for you! Privacy, privacy, privacy: All processing is private & confidential. What makes us so affordable? 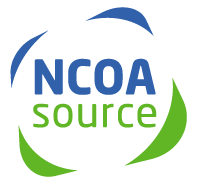 We've always provided the highest quality NCOA processing for less. Without sounding cliche, it's what we do. We work hard to make our users happy. And pricing is an important part of this. We're known in the industry as the most affordable NCOA provider because we believe in treating our users as we liked to be treated, and this means selling our services at the lowest pricing possible, rather than the highest price possible. It really is that simple. So, no matter if you're a single-time user with a small list, or a daily user with large volume, you'll find the same great pricing available to everyone. And there are never - ever - extra charges.